Join us for the MCHS Annual Banquet February 3, 2018! Tuesday - Saturday, 10-5, Sunday 1-5. 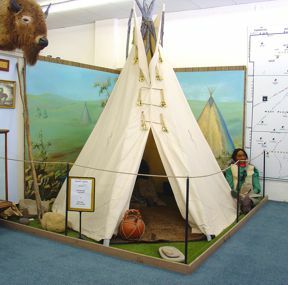 Located on Highway 54 in downtown Meade, the Meade County Historical Museum is one of the finest in Southwest Kansas. 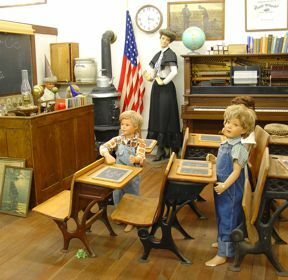 Arranged in such a way as to depict the lifestyle of early Meade County settlers, the museum offers an entertaining as well as educational look at its past. 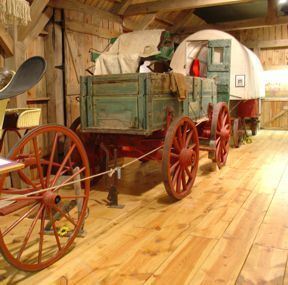 The museum boardwalk includes replicas of scenes from the past such as a sod house, general store and blacksmith shop. The livery stable houses early-day transportation, and a walk down the west side of the museum offers a glimpse into an early-day bank, doctor's office, school room, and church. 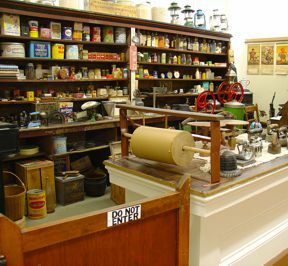 The museum also hosts an extensive collection of railroad memorabilia and artifacts from historic and pre-historic times. 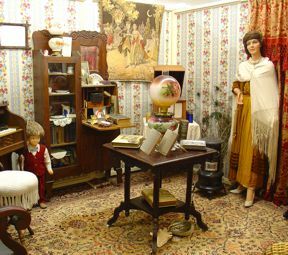 The Goodnight Gallery located in the back of the building offers temporary exhibits by area artists and craftsmen and traveling museum exhibits, as well as a place for special events. The MUSEUM LIBRARY offers a great deal of research material for the genealogist, obituary records, cemetery records, past newspapers on microfilm, published family histories, and photographs, all available to researchers at no charge. The outdoor display which is just north of the Museum, includes the Sunnydale one-room school house, a windmill and early farm equipment.